Are you looking for something a little less tacky than your average garden gnome, to brighten up your back garden? Well, we can confidently tell you that your search is over, because we've found just the item for you! We understand that this The Butcher Garden Gnome is still of rather questionable taste, but he is a lot more interesting to look at than your bog standard garden ornament! As you can see, he's just finished beheading a Flamingo. Probably because this psychotic little fella didn't want any challenge to his reign of garden terror! If you're interested in brining home this novelty gnome, you'll be happy to find out that it's our deal of the week, and is now just £14.99! That's £10 off the original price, what a bargain! So, if you're looking for a bloody twist on the conventional lawn gnome, or if you're just looking for something to give your aunt a fright this Christmas, this gnome is perfect for anyone with a truly sick sense of humour! Yesterday marked 15 years since the release of The Grinch movie; feel old yet? This adaptation of Dr. Suess' classic tale, tells the story of a grumpy, green guy who decides to ruin Chritmas for everyone, but learns the error of his ways when he is given a taste of human kindness. Seeing as we all know someone who isn't as keen on the Christmas cheer that surrounds us at this time of year, we thought we would give you a gift guide that might help you put a smile on their faces. These hilarious gnomes make perfect gifts for your rude, crude and cynical friends and family. Taking innocent, jolly garden gnomes and transforming them into twisted parodies, these ornaments are certainly not for the easily offended. Whether this statement is imposed or self-proclaimed, it certainly makes a fitting gift for all the miserable gits you know. Have you ever asked a person who is anti-Christmas what they would like for Christmas? 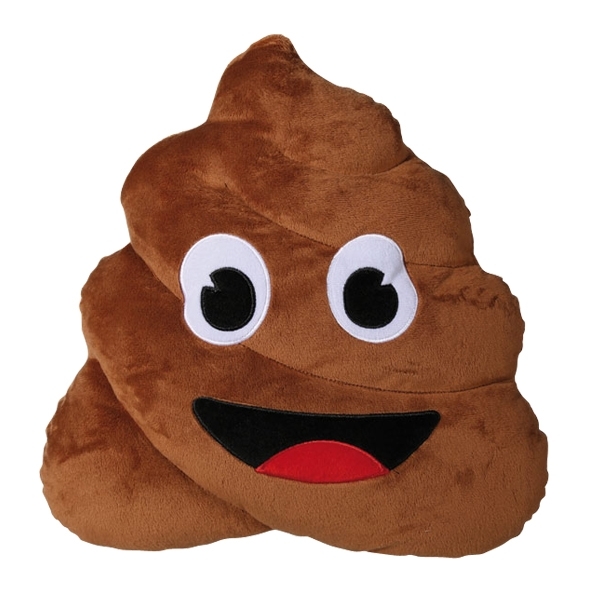 Have they then responded with any of the following statements: ‘I don’t want s**t all!’, ‘Christmas is Bulls**t’ ‘I don’t know, any old crap’ and so on… Well now you have the perfect response, in the form of this Happy Poo emoji pillow. Subtly suggest that they cheer up, while also fulfilling their request in a creative way. Some people hate Christmas so much, it makes them want to wipe the smiles off the faces of all those happy, Christmas-loving idiots. Now these people can take out all of their frustrations without causing any serious harm, with this Petron Archery Set. Perfect for: silencing carol singers, target practice with pictures of Santa Claus. There you have it, our not-so-cheerful Christmas gift guide. If you're looking for some offensive, funny, alternative Christmas cards, check out these. Today Steve Jobs will be released in UK cinemas, something we're all pretty excited about here at Gadget Inspector. As we like to keep our gift guides nice and topical, we thought today would be an ideal time to hit you with our top phone-related gadgets and gifts, enjoy! We all love a multi-use product, and this one is perfect for the colder months. Not only does it work as an emergency iPhone charger, it also has a torch and hand warmer function too! This would come in super handy for digging out your keys on cold dark nights, or keeping you nice and toasty if you've left your gloves at home. This phone case is ideal for businesspeople who want to keep their work and personal contacts separate, allowing you to flick between the two at the click of a button. This really saves the hassle of manually switching sims or having two phones, making life much easier for people with a sizeable contacts list. This clever little gadget is great for all my fellow clumsy chums! We all know a person that is prone to sporting a cracked phone screen, so this would work perfectly as a useful and humorous gift for them. The holder sticks to the back of your phone without leaving any marks, allowing you to slip your fingers through the loops for advanced grip. The loops also double as a stand for you phone, allowing you to prop it up and use hands-free! Flicking thorough ebooks and social media on your phone should be easy, but we all know that this is not the case. Trying to find a comfortable chill-out position can be a pain, not to mention the awkward hand-ache you get from trying to hold your phone at the right angle. This nifty little pyramid is like a pillow for your smartphone, allowing you to prop it up and flick through articles and videos with total ease and comfort. One disadvantage of the smartphone becomes incredibly clear during the cold winter months, as you struggle to pull off your gloves off just to answer a call or reply to a text, longing for the simple days when the buttons on your portable brick went unaffected by your hands being covered. These Touch Screen Gloves come in two colours, and allow you to use your smartphone without exposing your hands to the frosty conditions. These awesome Marvel iPhone 5 cases are essential for any fans of the superhero films and comics, and come in 5 cool, retro designs! With Captain America, the Incredible Hulk, Iron Man, Spider Man and X-Men to choose from, you're sure to find a character that you love! To see our full range of awesome phone accessories and gadgets, click here. Teenagers are notoriously hard to buy for, so to give you a helping hand this Christmas, we've written you a little gift guide to help you get that perfect gift for the teenager (or, heaven forbid, teenagers) in your life. Teenagers are always on their mobile phones these days - whether they're tweeting or messaging their friends, they never put them down! If they're all fingers and thumbs when typing, there's no better solution than this touch screen stylus. Simply connect it to the headphone socket and you'll be good to go. The stylus is connected to an elastic cord, so the user can reach any part of their screen with ease. The Pad Writer works with all touch screen devices. What better gift is there for a teenager than a Beer Pong Kit? (Assuming, of course, that the teenager in question is aged 18 years or above.) All their future parties or gatherings will become far more entertaining with this gift - the only thing that isn't included is, sadly, the beer! Teenagers are always taking selfies these days, so help them take the perfect selfie with this IGGI Pocket Selfie Stick. Sadly, human arms aren't always long enough to get that perfect angle, and this is why a selfie stick is the perfect gift for any teenager. They'll now be able to get everyone in for the perfect group photo! Teenagers everywhere are now using emojis - they're the perfect way to communicate how you're feeling without using any words. Well, now their favourite emojis have come to life in the form these super-comfy plush pillows! They're great for decorating the bedroom or snuggling up with when watching a film. We guarantee your teenager will love these! Finally, your teen will be more than happy this Christmas if they receive one of our Happy Cables! These charger cables are colourful, fun, and at 1 metre long, extremely handy. So whether they're plugged into the laptop or into the socket, your teenagers will no longer have to deal with a dead battery! Click here for more great gift ideas. The Perfect Gifts for Youngsters! We at Gadget Inspector know how hard it is to choose the right gift in time for the 25th of December. So, with Christmas now just around the corner, we thought we'd put together a gift guide to help you choose the perfect gifts for the little ones in your life! If your kids loved the Minions or Despicable Me films, they'll love these Inflatable Remote Control Talking Minions just as much! The cute, squishy minion is really easy to control and even easier to inflate. It can move in any direction and spin 360 degrees; it even plays 12 original sound effects in an authentic minion voice! It's the perfect gift for any child, although we're fully grown adults and we love playing with him as well. From a galaxy far, far away comes everyone's favourite Star Wars characters in the form of the cute inflatable RC toys. Your little ones will love going on intergalactic adventures with their new inflatable companion; each inflatable comes with its own original sound effects and can move in any direction. They can also spin 360 degrees and can be operated indoors and out, so the adventures can be taken anywhere! These chunky wooden puzzles are the perfect way to get your children's cogs turning. They may look simple at first but we assure you that they can be quite tricky! They come in small packages, which means they are the perfect stocking fillers. If you're after something that will keep both kids and adults entertained for hours this Christmas then our chunky wooden puzzles are perfect! Are your children constantly pestering you about getting a pet? Then this Robo Fish is a must-buy! Place your lifelike fish into a bowl of water and watch as the Robo Fish activates and starts moving! It's a great alternative to a pet because you don't have to worry about feeding or cleaning it! It also come with a decorative castle and coral for your fish bowl. 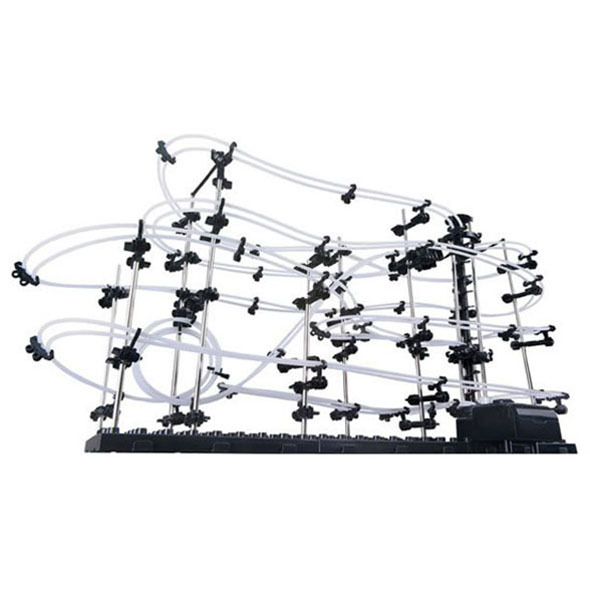 You and the kids will have hours of fun with this glow in the dark rollercoaster! It's really easy to build, and once it's up and running, simply place the steel balls at the start and watch them whiz around the track. At the end of their fun-filled journey, there's a battery powered elevator that automatically returns the heroic steel balls to the start of the track for another ride! It's fun for the whole family! Click here for more great toys and games!